Summer is slowly but surely coming to an end. The Lil Divas start school in a mere 2 weeks so we have been trying to cram in all those things we haven't gotten around to doing before our schedules become even busier. 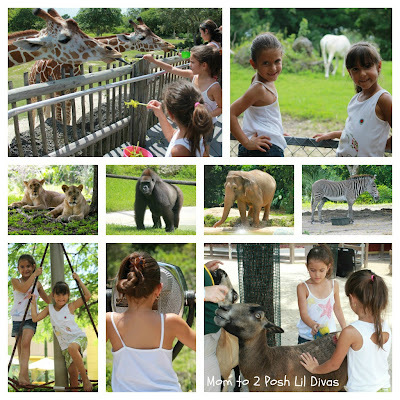 This week we went on a fun filled (& HOT) family outing to Zoo Miami. It was such a great day and I was a bit camera happy so we have lots and lots of fabulous photos. My favorite part - feeding the giraffes. Aren't giraffes awesome? I love them! We have been closely following the Summer Olympic Games. Are you watching with your kids? 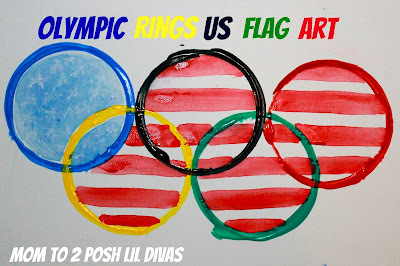 This is the first year we are really able to share it with the Lil Divas and they are so impressed with the US Ladies Gymnastics Team and all the swimming competitions. We worked on this fun Olympic Rings Flag Art to show our support of Team USA in the games. I have been working a lot with the Littlest Diva this summer since she is entering kindergarten this year. We spend quite a bit of time playing games that double as learning activities. 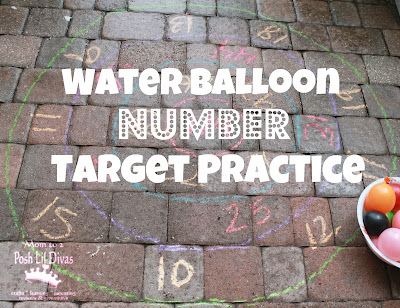 Our most recent game - Water Balloon Number Target Practice was a huge hit. 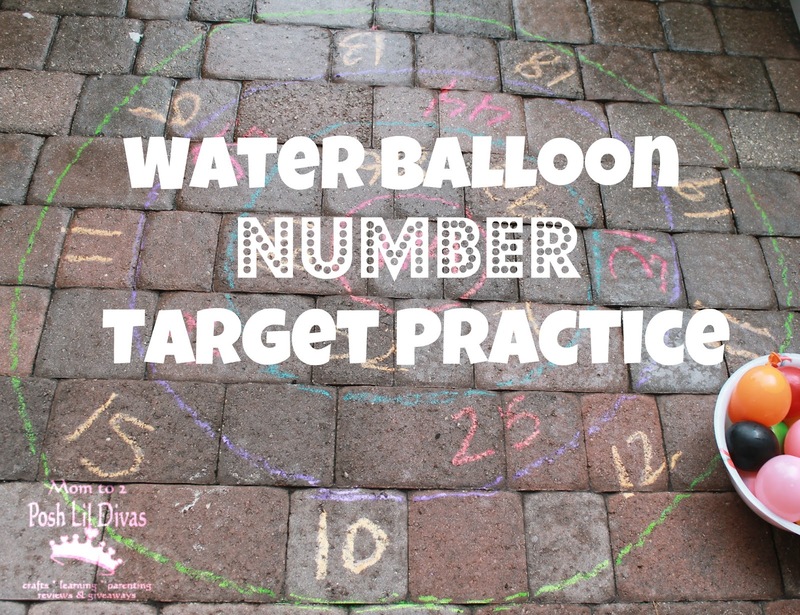 It involved taking aim, throwing water balloons and getting wet - what's not to like? The Lil Divas have been enjoying their new Backyard Oceans Swimming Pool. It's a perfect way to beat the heat during the hot and humid South FL summer days. Do you follow us on Facebook? 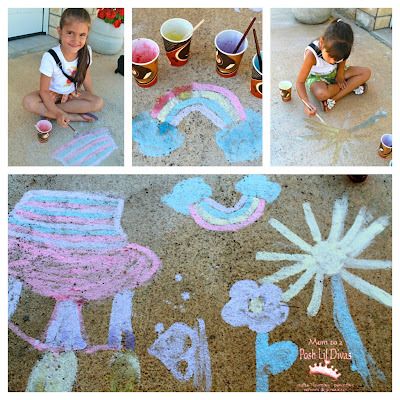 We shared a frugal and fun tip with our fans this past week involving using those broken, itty bitty pieces pieces of leftover chalk to paint outside. I'd love for you to join us there - we love chatting, sharing fun photos and so much more. Have you seen this week's Sunday Showcase? We featured some fun Lego/Duplo posts that take you beyond average building. 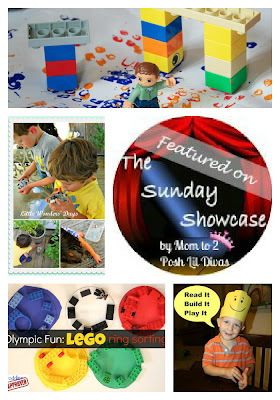 Come by and check them out and take a peek at all the great ideas that are being shared this week. Finally, this week some BIG NEWS with everyone! 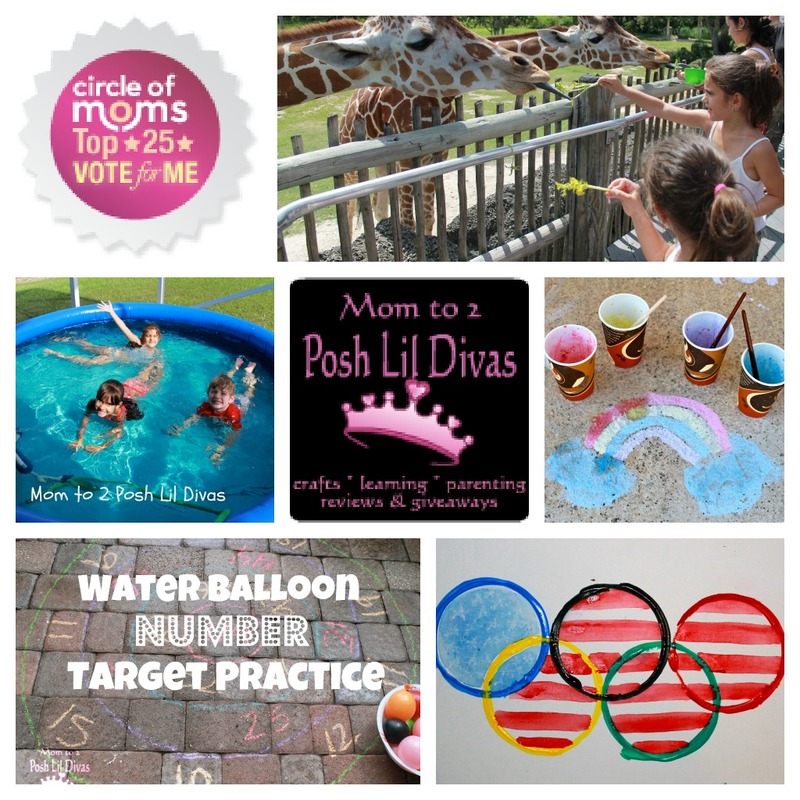 We are nominated to Circle of Moms Top 25 Teacher Mom Blogs. We are currently in the Top 2 and I would love to finish out on top when the contest ends on August 9th. I would be so appreciative if you could take a moment to click on the link and vote for us. All it takes is a simple click - no sign-ups or login required! With your help we could finish this at #1! We had a busy week. 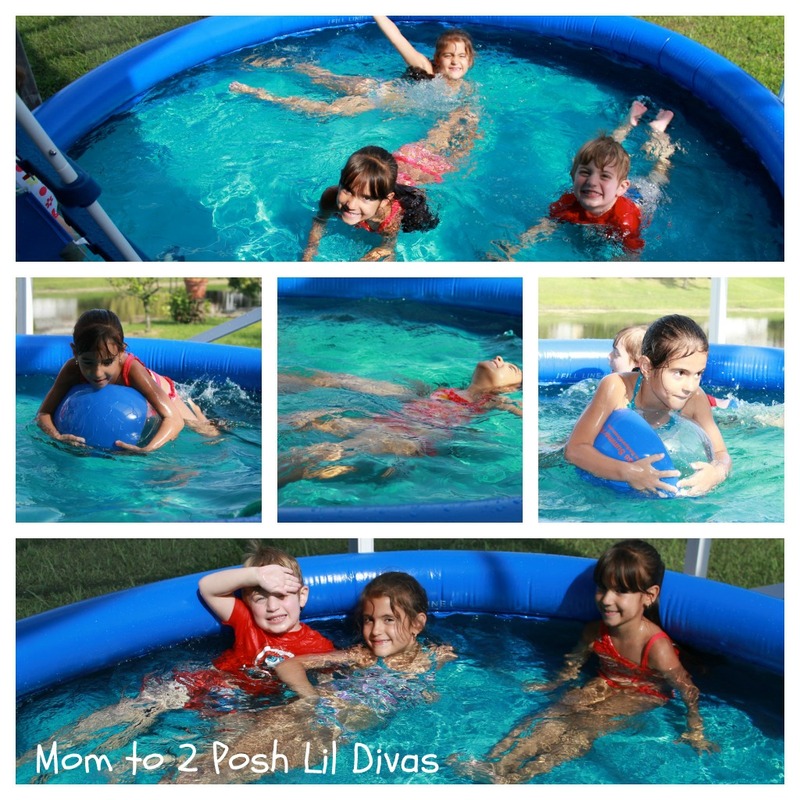 and the Lil Divas and I have lots of activities to cross off our Summer Fun List before school starts. 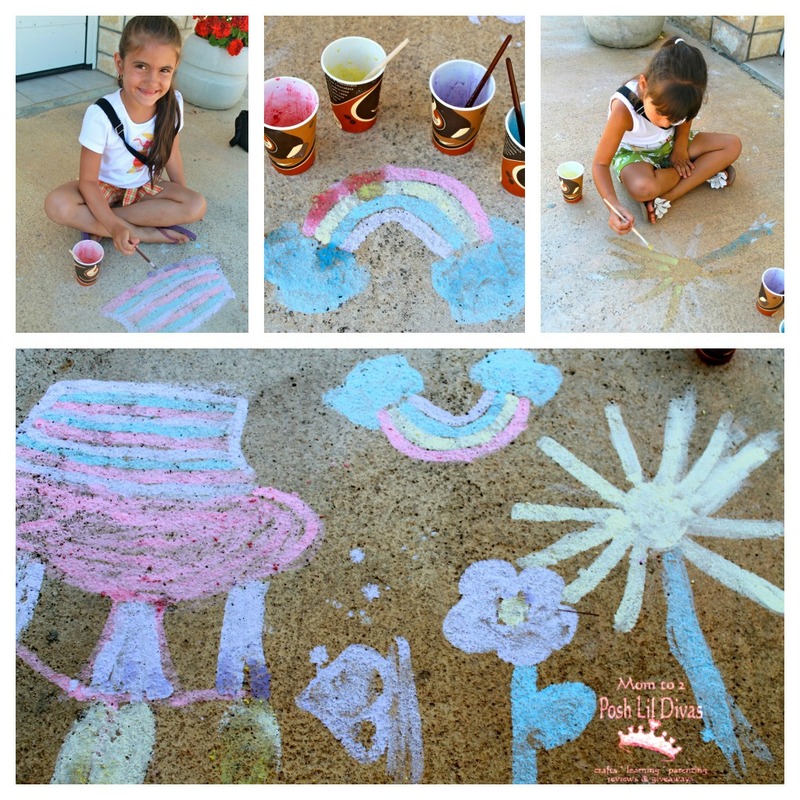 Do you still have things you are trying to cross off your Summer Bucket List? I know I can't be the only one. Right? What do you plan to cross off your list next week? Looks like a great week of summer fun and learning.